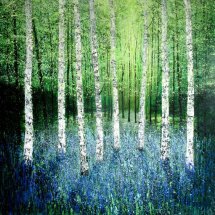 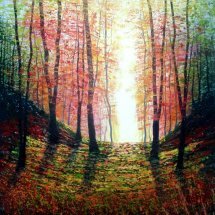 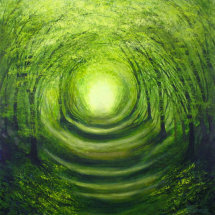 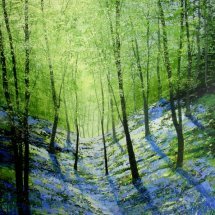 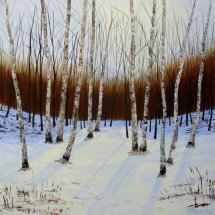 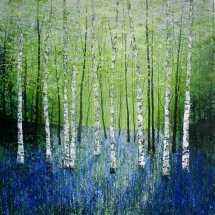 "Heart of the Glade" is inspired by the lovely woods close to my home in the High Peak. 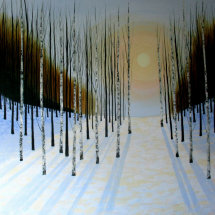 This is a beautiful peaceful place and I often walk here taking my sketchbook. 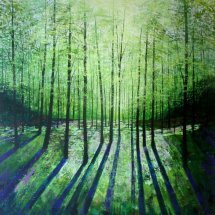 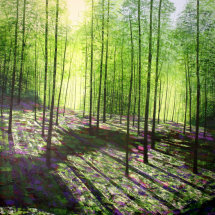 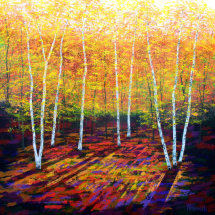 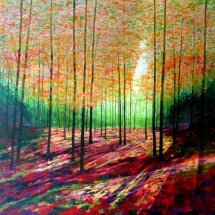 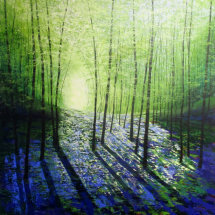 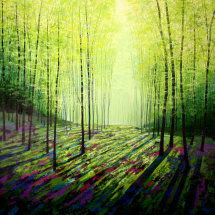 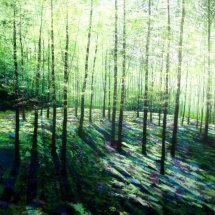 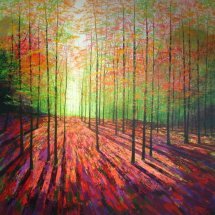 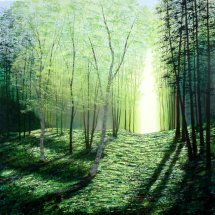 Light filters through the leaves creating dramatic shadows over the forest floor where grasses and flowers grow in abundance, expressed by abstract marks in the foreground. 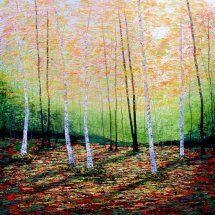 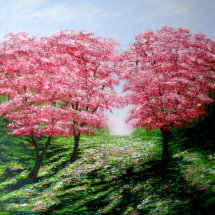 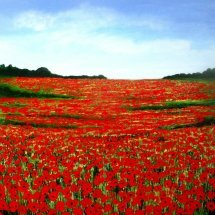 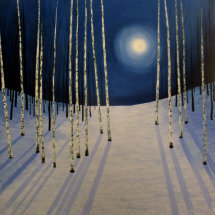 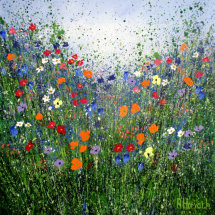 An original artwork, one of a kind, this painting has been created with high quality acrylic paints on deep edged canvas, using impasto techniques applied with a palette knife.